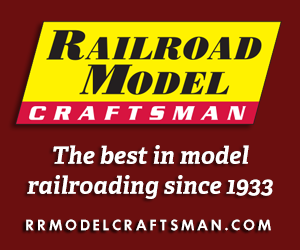 Lionel’s 1974 return to HO scale included a catalog with four train sets. Two included Alco FAs and two had GP9 diesels. The base train set offering was shown with a red-and-silver Warbonnet Santa Fe FA, this Great Northern release was Lionel’s step-up Alco FA-powered train set. The Great Northern (No. 5-1482) included an oval of track, power pack, Union Pacific 40-foot flatcar with stakes, Grand Trunk boxcar, flatcar with I-beam load, red Missouri-Kansas-Texas cattle car, Southern Pacific gondola, and Great Northern caboose, in addition to the orange-and-green Great Northern FA diesel. The other train sets appearing in Lionel-HO’s 1974 catalog included The Santa Fe (No. 5-1483), The Union Pacific (No. 5-1481), and The Chessie (No. 5-1480). 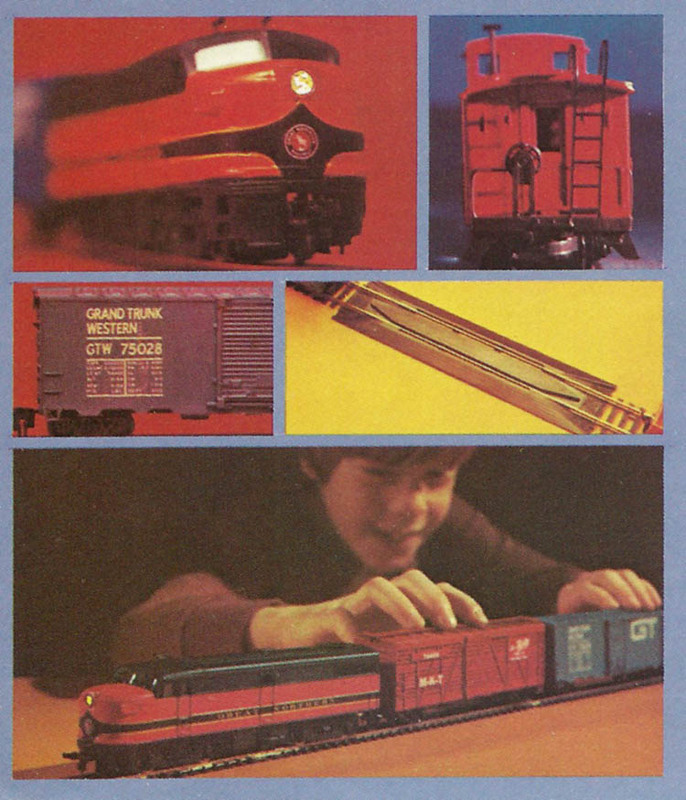 The Great Northern train set returns in Lionel’s 1975 catalog with no changes to its contents or stock number. The 1975 catalog presents separate sale diesel locomotive models promoted as “Double-Drive Diesels.” The train set FA-1s remained the red-and-silver Santa Fe and this Great Northern example dressed in the road’s “Empire Builder” colors. New for 1975, Lionel shows an FA-1 on the point of its more basic “American Freedom Train” (No. 5-2587). Those diesel models are not listed among separate sale releases. The collection of FA-1s shows Amtrak (No. 5-5507) decorated in the service’s Phase I scheme with red nose and large red-and-blue herald on its side, Rock Island (No. 5-5505) in red with yellow nose, and Southern Pacific (No. 5-5509) in “Daylight” scheme. The 1975 GP9 diesels saw the return of the gold Chessie System (stand-in for “GM 50” GP40-2 on Chessie’s prototype roster) and Union Pacific in train sets. Separate sale GP9s in the 1975 catalog included Frisco (No. 5-5515), Grand Trunk (No. 5-5511), and Southern Railway (No. 5-5514).